When you attend a Restorative Medicine Conference, you'll learn new protocols that you can use on Monday morning. Learn directly from the experts and pioneers in Restorative Medicine. Each conference is packed with specific protocols and clinical pearls that you can immediately put to use in your practice. 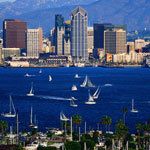 The 17th Annual International Restorative Medicine Conference will be held September 12-15, 2019 at the Paradise Point Resort in San Diego. A series of classes presented during the annual conference are part of the new Restorative Medicine Herbal Certification program (http://restorativemedicine.org/herbal), which also includes spring herb seminars. The speakers at our conferences are all leaders in the field. They have years of experience in practicing Restorative Medicine and have treated thousands of patients. Many are also researchers that have developed innovative treatments that have brought new hope to their patients. Learn new patient strategies and maximize patient improvement rates. Offer new treatments to patients with chronic conditions, including fibromyalgia and chronic fatigue syndrome. In this video, attendees speak about their experience at the Annual International Restorative Medicine Conference. Learn more about the conference webcast option. The registration price for a AARM Restorative Medicine Conference includes CME credits. Attending an AARM Restorative Medicine Conference is a small investment in your practice that will provide big returns. You’ll be able to attract new patients to grow your practice and offer additional treatments to existing patients. Restorative Medicine is a growing discipline that is in high demand as the population ages — building your clinical knowledge in this area by attending an AARM conference is a wise business decision. 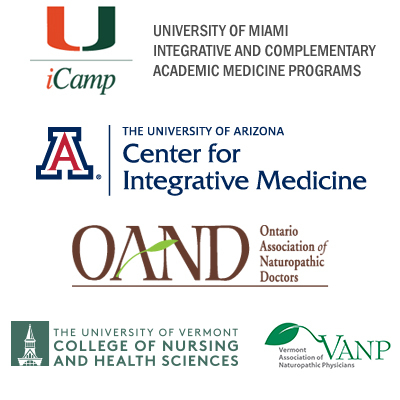 The Restorative Medicine Conference is an international integrative medicine confererence which also offers online CME in integrative medicine through webcasts of the live conferences. The Annual International Restorative Medicine Conference is the original and still the biggest conference that AARM offers. Physicians and other health care providers from many disciplines and countries come together for four days of intensive multi-track education sessions in a spectacular natural setting. The conference is held in the fall each year and the location rotates among different regions of the U.S. Attendees can choose from lectures in several tracks, and visit more than 30 exhibits by leading vendors. For naturopathic doctors and medical doctors practicing in the Greater Toronto Area, Eastern Canada, and the Northeastern U.S., our Toronto regional conference is conveniently located. This conference brings together practitioners who want to learn more about prescribing hormones and using botanical medical treatments.